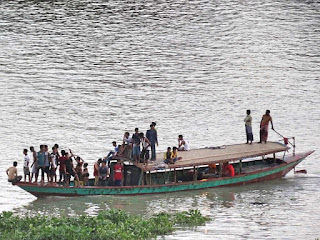 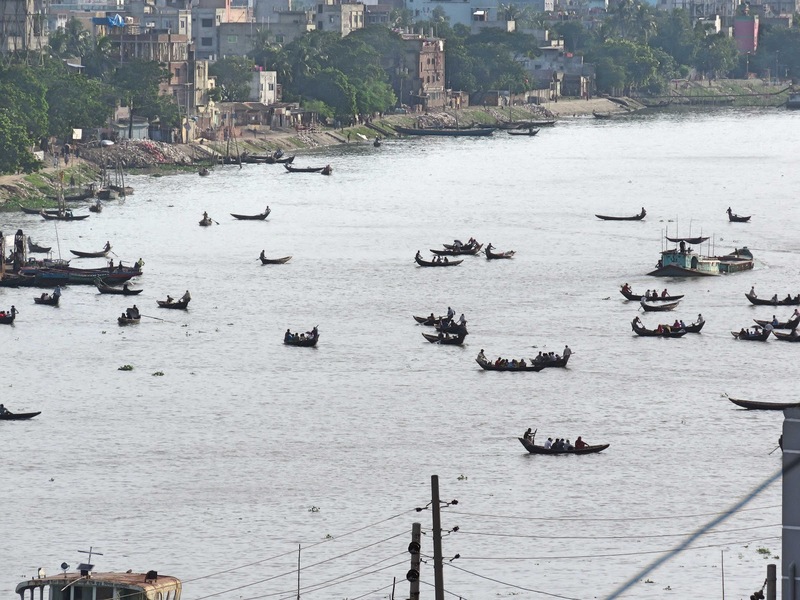 Bangladesh is crises-crossed by many big and small rivers. 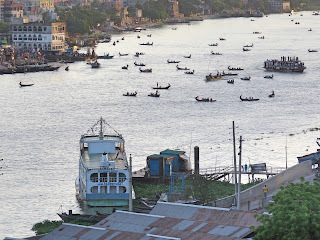 The Padma, the Meghna, the Jamuna are the big rivers. The Buriganga, the sitalakshya, the Dhaleswari, the Teesta, the Madhumati, the Gumati and the Karnafuli are the small rivers. Most of the rivers of our country rise from the Himalayas and fall into the Bay of Bengal. 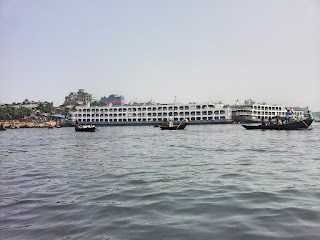 Dhaka is situated on the bank of river Buriganga. 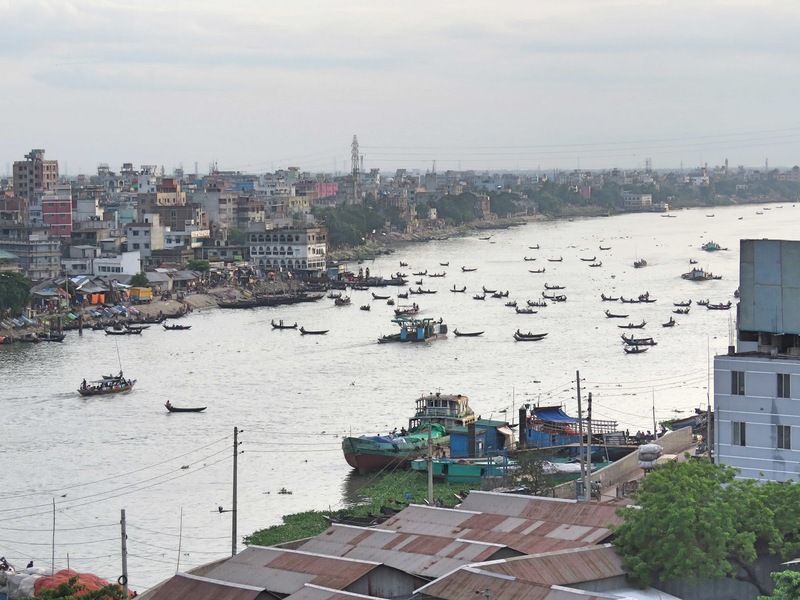 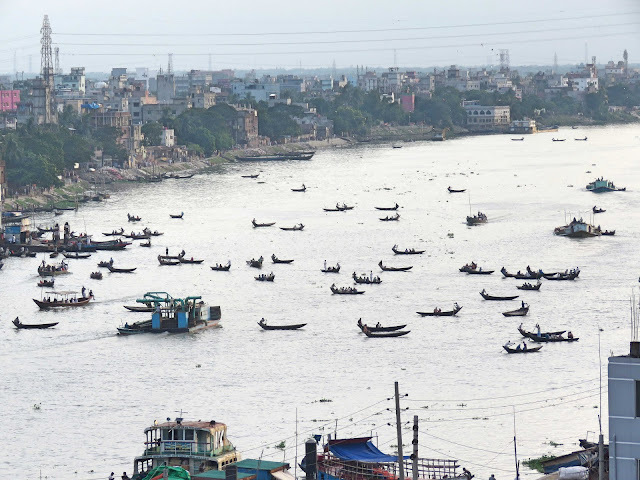 Buriganga River (Old Ganges) flows past the southwest outer edge of Dhaka city. 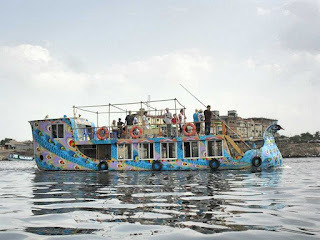 Its average depth is 7.6 meters (25 ft) and its maximum depth is 18 meters (58 ft). 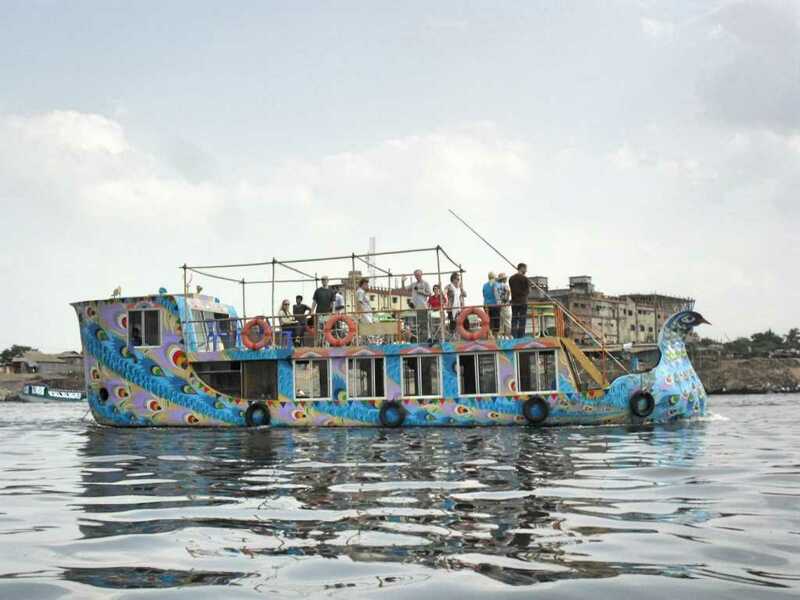 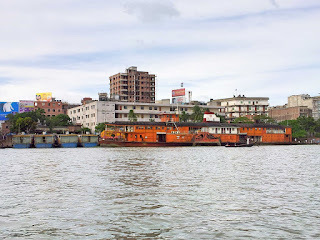 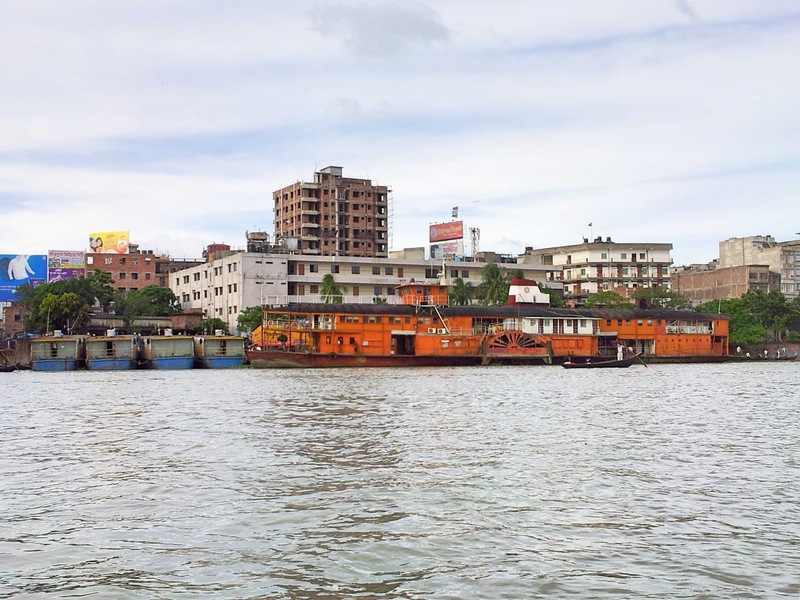 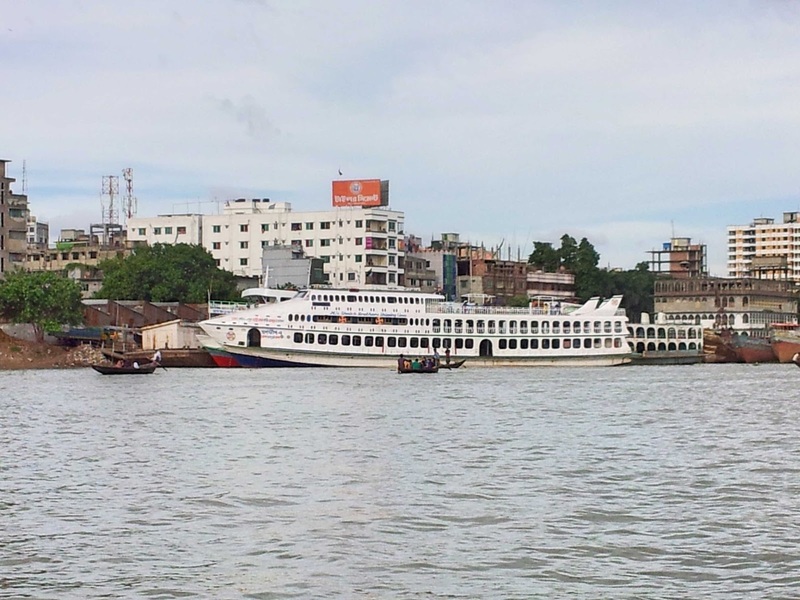 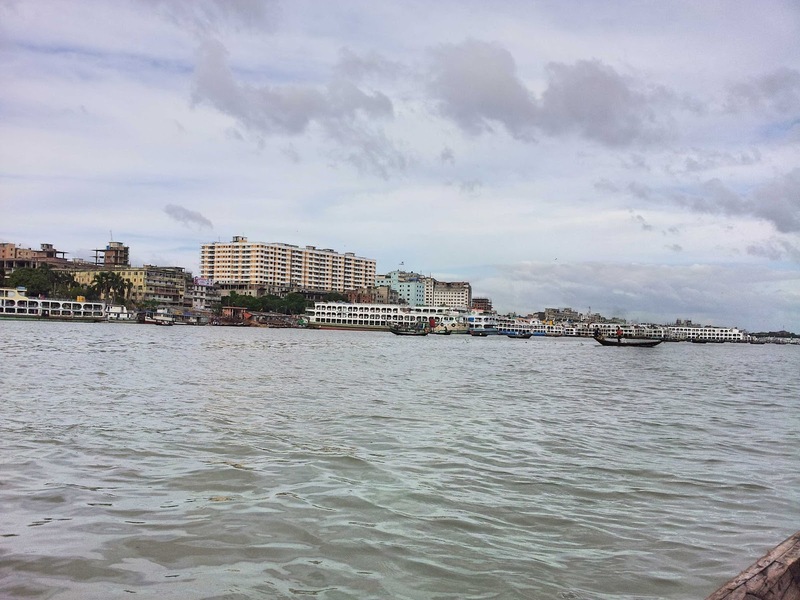 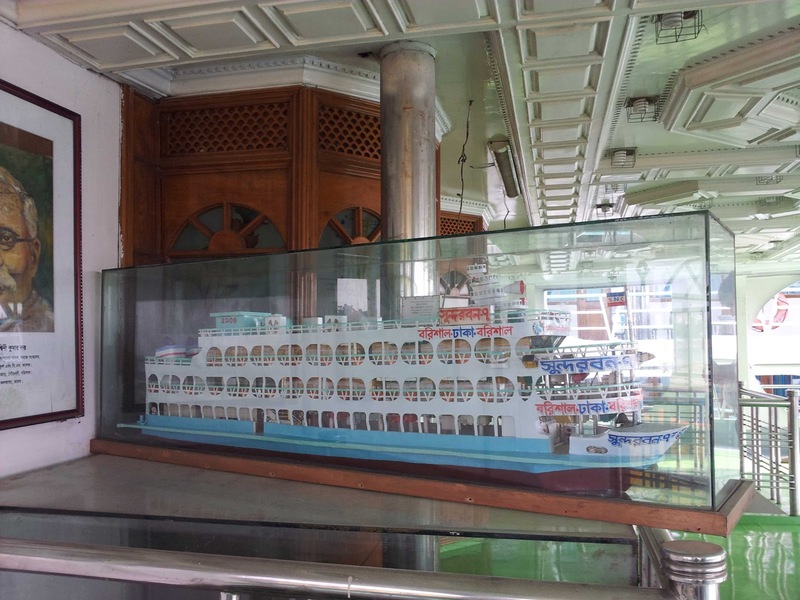 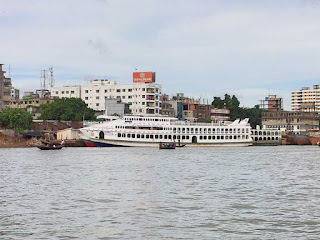 The Ahsan Manzil, Borokatra, Choto katra, Ruplal house, North Brook Hall face Buriganga. In the distant past, a course of the Ganges river used to reach the Bay of Bengal through the Dhaleshwari river. 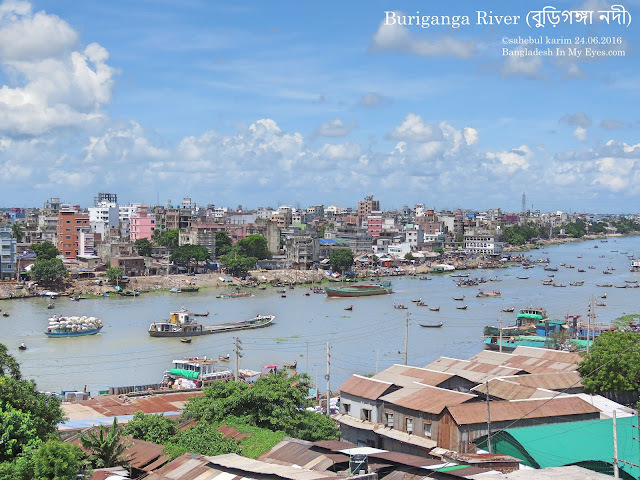 When this path gradually shifted and ultimately lost its link with the main channel of the Ganges it was renamed as Buriganga. 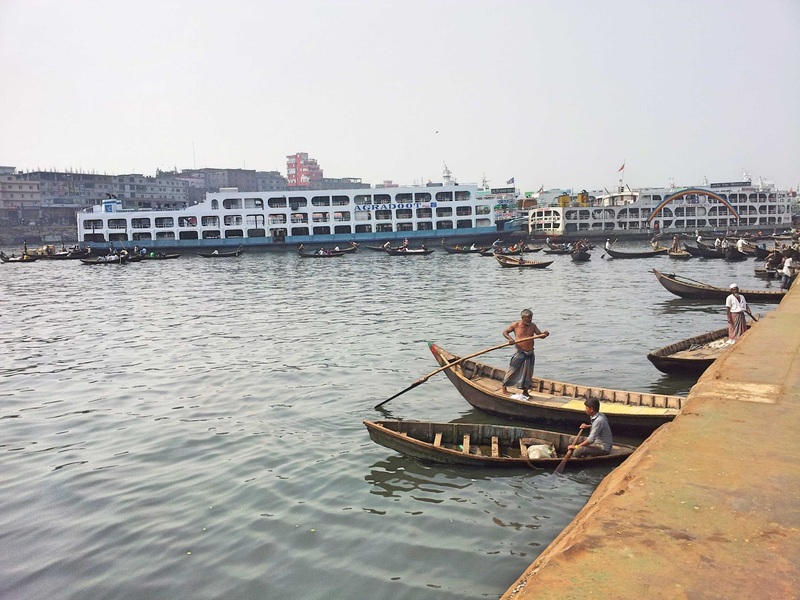 In 1989, the Bangladesh-China Friendship Bridge was built over the river. In 2001, a second bridge over the river was built at Babubazaar for vehicles and pedestrians. 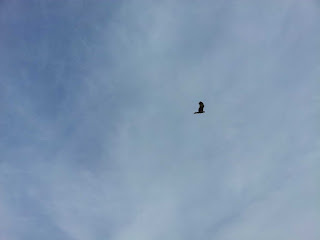 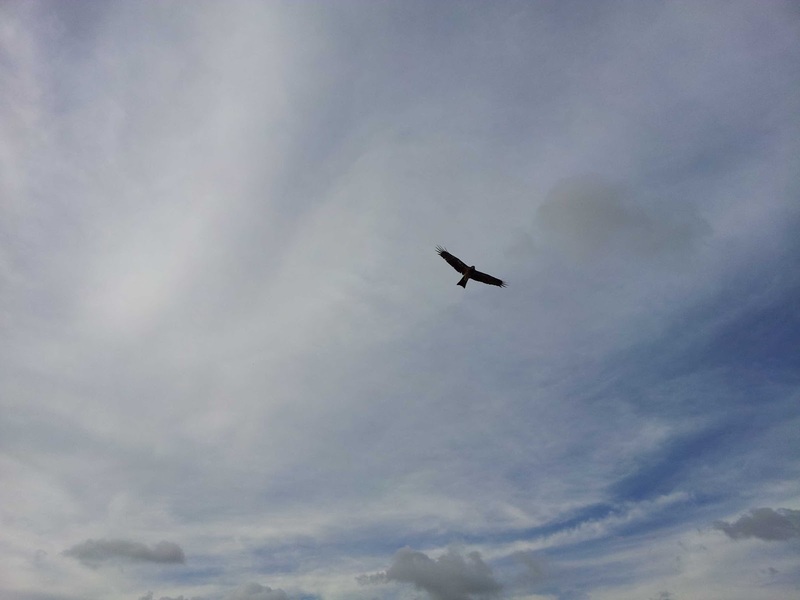 for departure and arrival every day. At this place hundreds of country boats laden with passengers and merchandise cross the river. 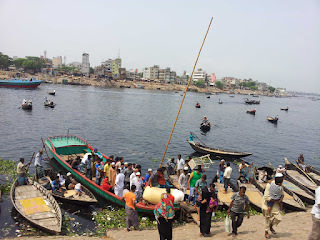 I live near Buriganga and I visited this river many times. After 2001 the 2nd Buriganga bridge was our favorite place for gathering and gossiping. 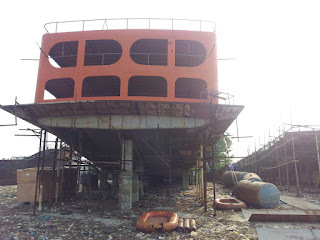 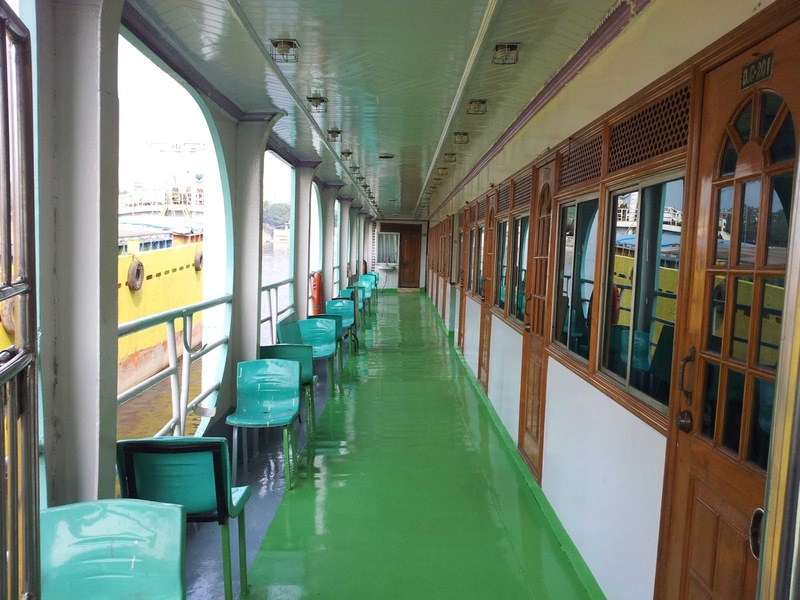 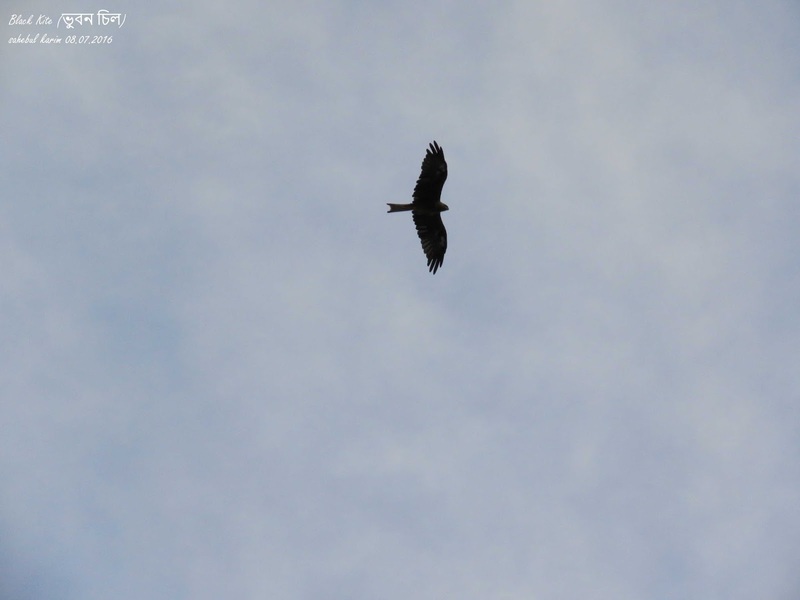 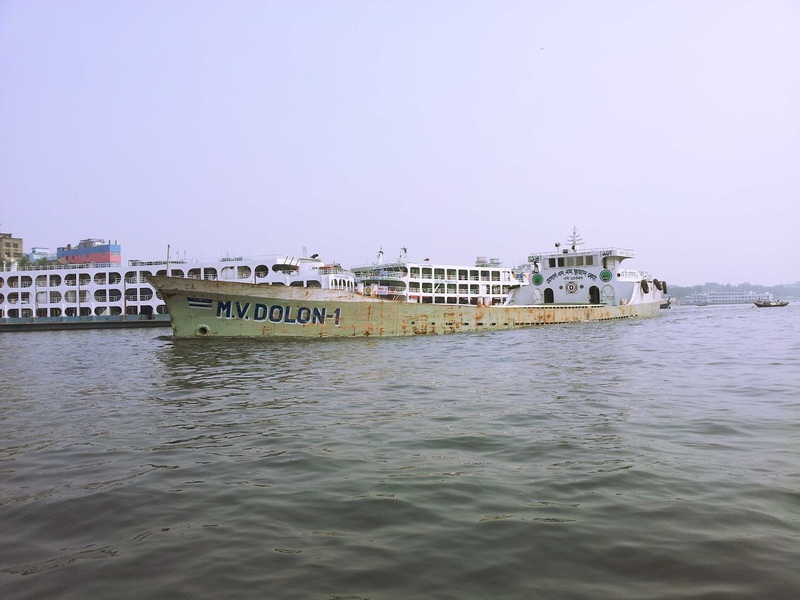 In 2015 we visited Sadarghat and Sundarban 7 launch. 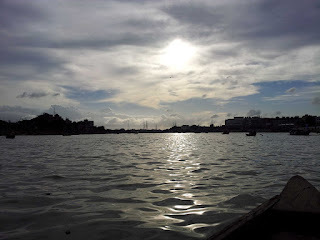 Before that I never had the opportunity to see such a big launch. 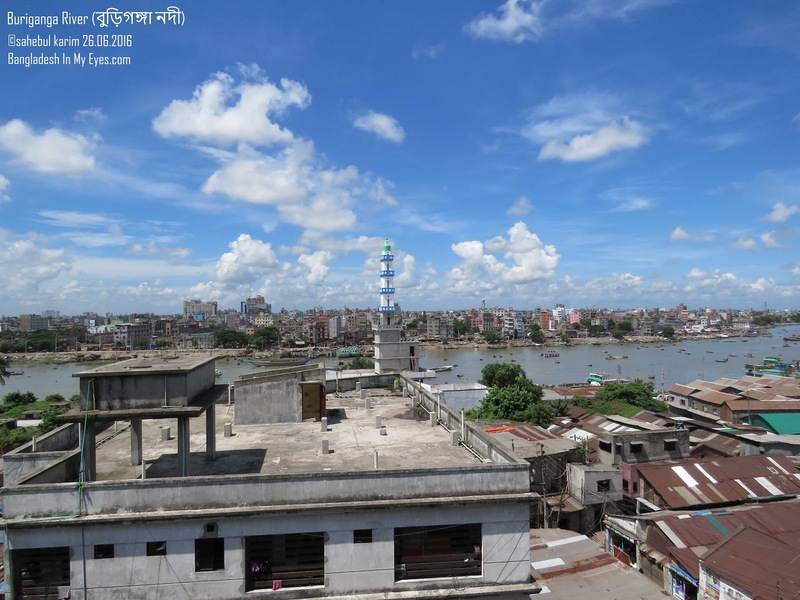 The recent picture of Buriganga where you can see the beautiful sky over the river is takin from my father-in-law's house. 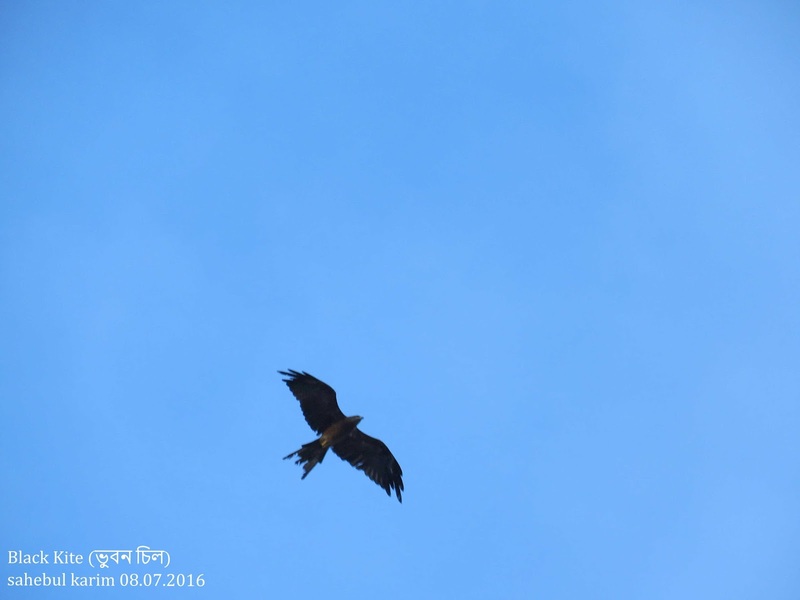 Video taken 29th of July, Saturday - 2017. 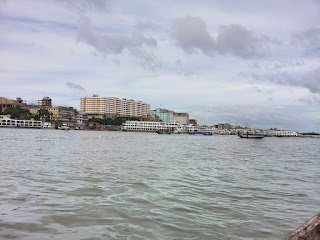 It's rainy season. 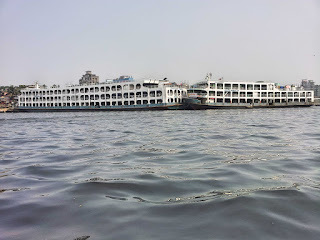 Due to heavy rainfall this season Buriganga is full of water. 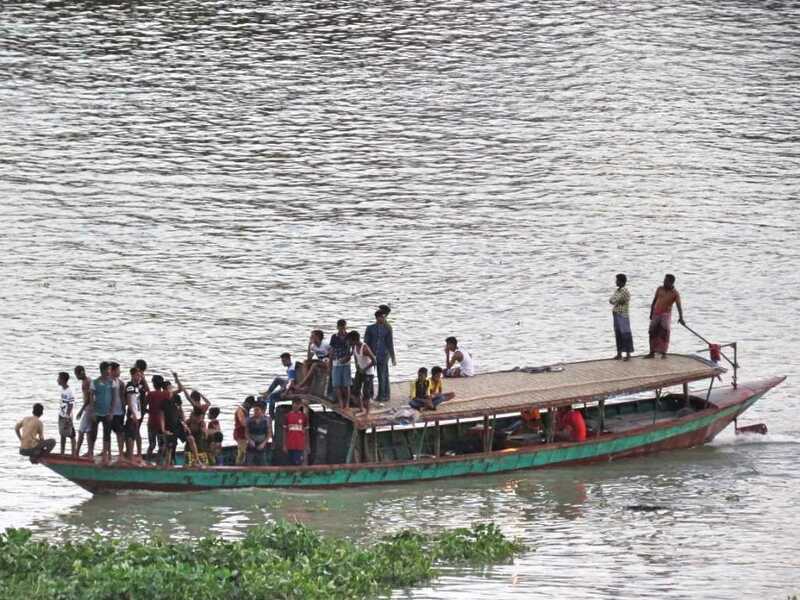 Normally this river water is black and very populated. 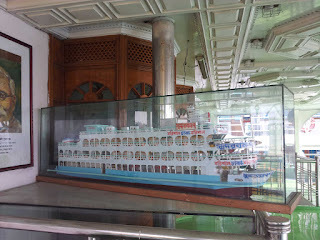 But the scenario is different this year. 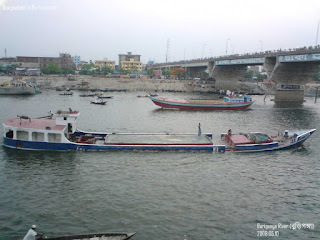 As a result every weekend lot of people come to see this river and enjoy boat riding. 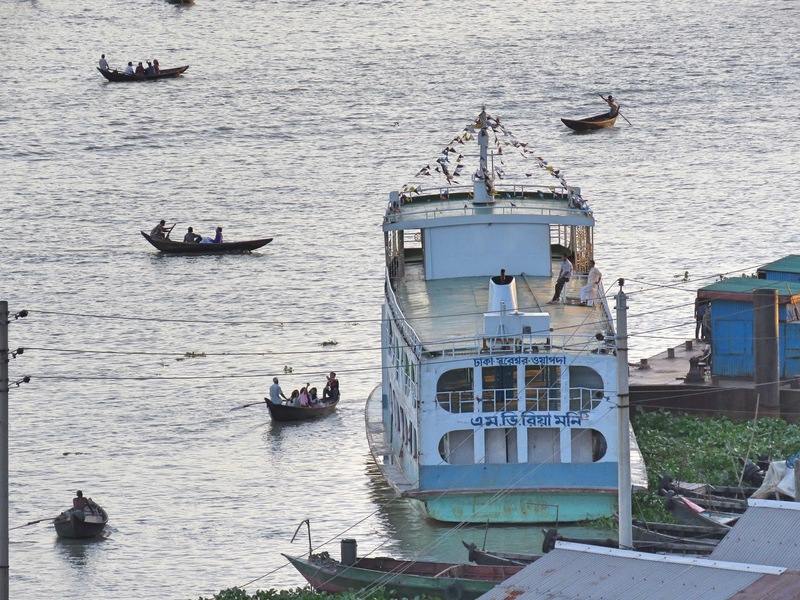 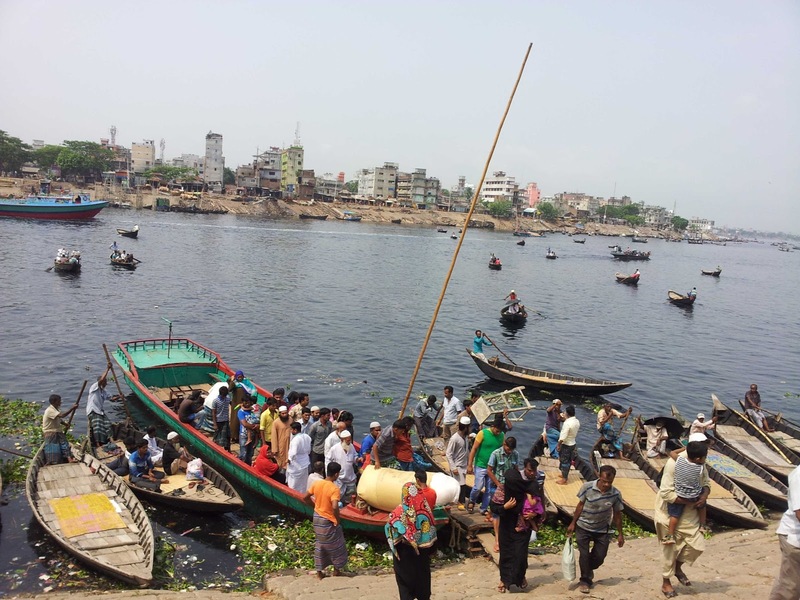 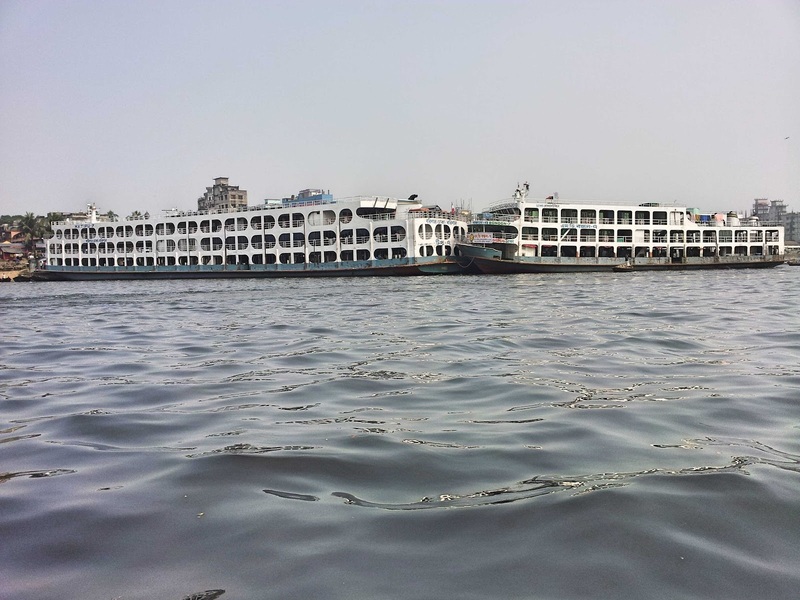 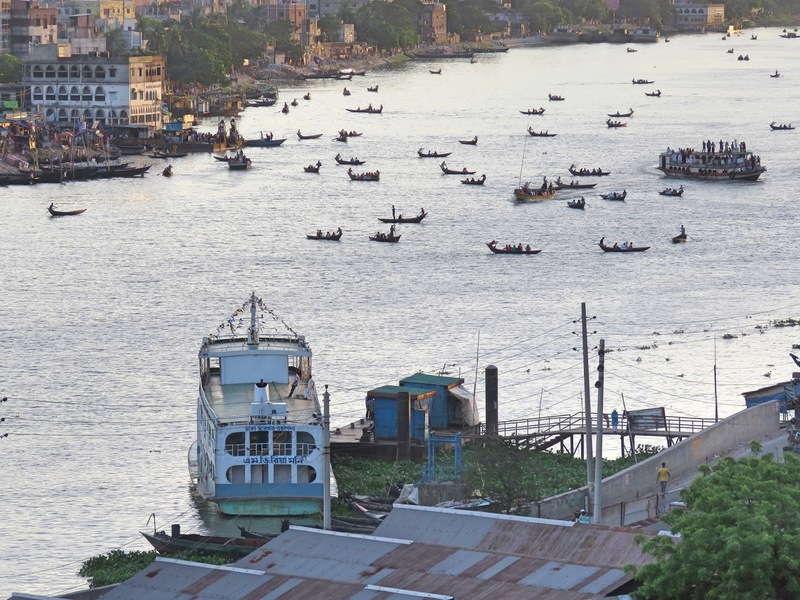 Small boats ply on Buriganga. 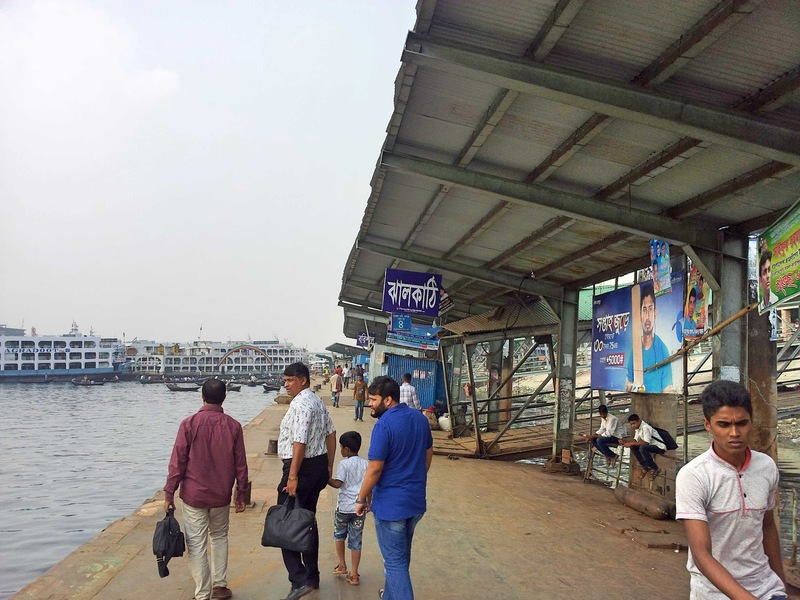 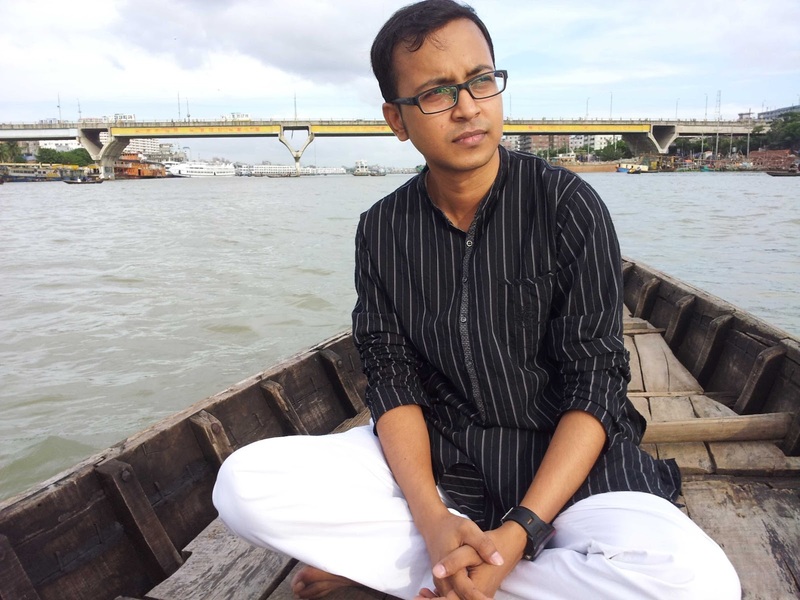 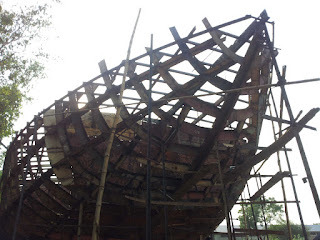 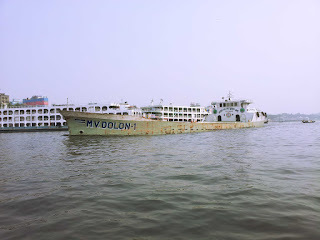 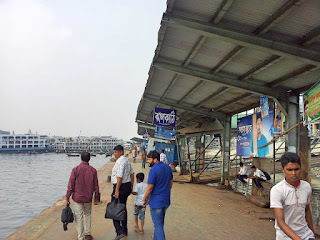 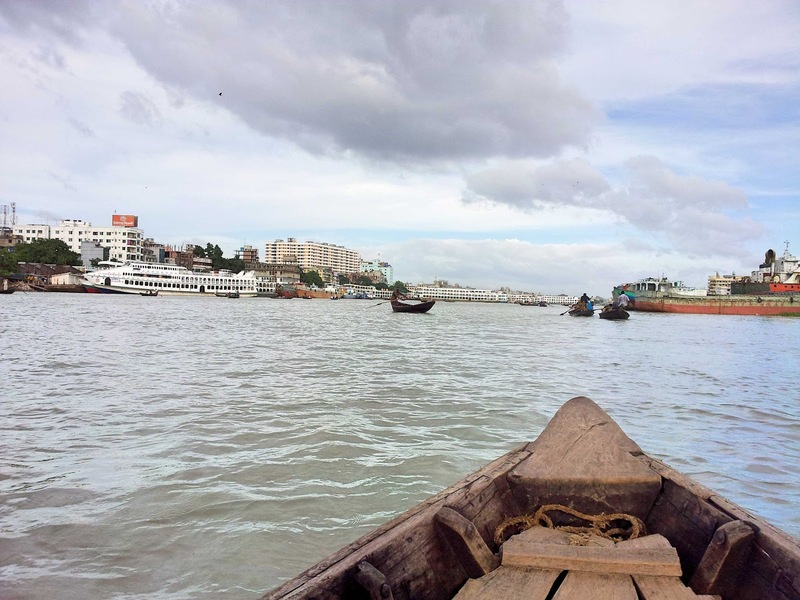 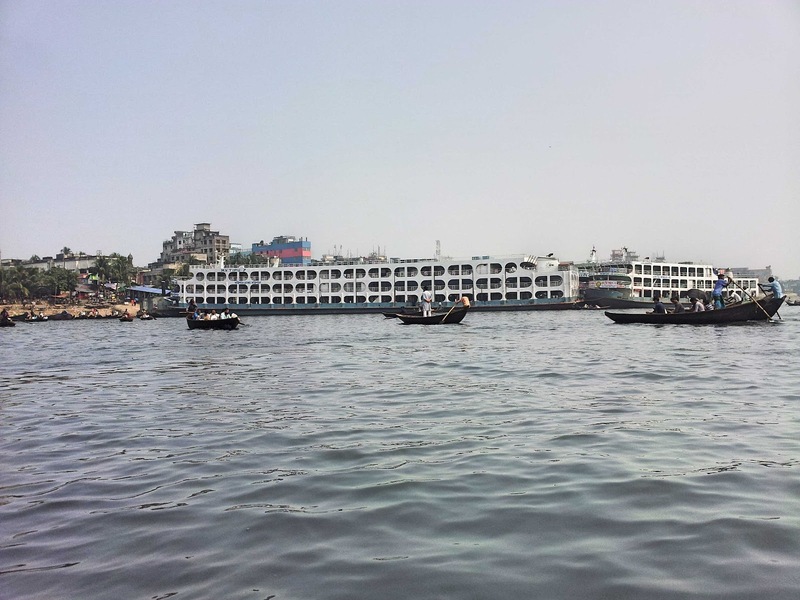 Journey by boat over Buriganga (2014). 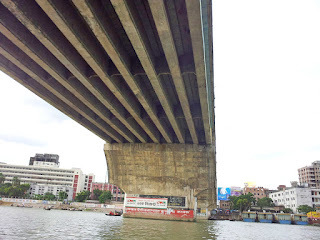 Large beams of the Buriganga 2nd Bridge. 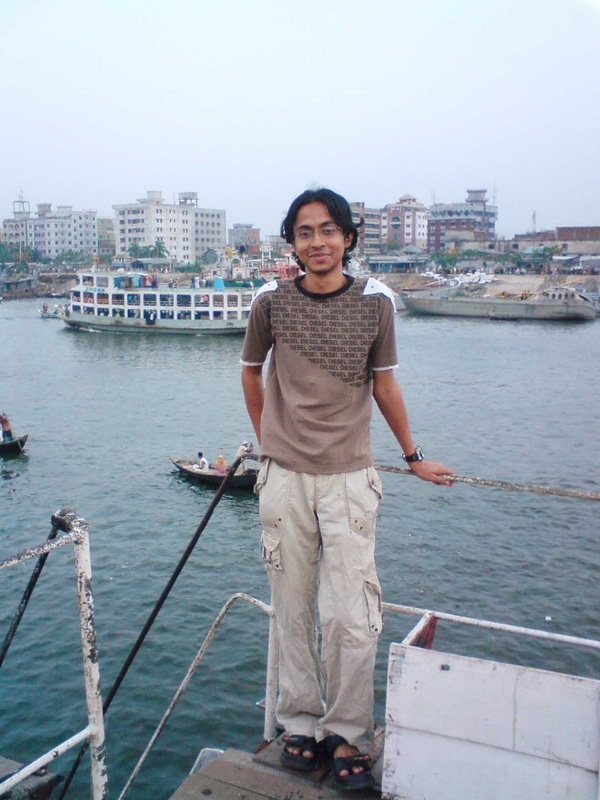 Tourist visiting Buriganga River (2010).